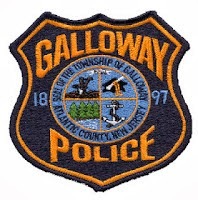 On January 20, 2014 at 12:16 p.m., Galloway Township Police responded to the 300 block of Spencer Lane after a subject called 9-1-1 and reported an unknown male walking into the rear of a neighbor’s residence. Upon arrival, patrol officers observed a subject exiting the garage door carrying electronics. Upon seeing police, he dropped the items and began to run. After a short foot chase, the subject was apprehended. The subject later identified as a 16 year old male from Atlantic City had kicked in a basement window and entered the residence. Inside he stole select items before encountering the homeowner sleeping in the upstairs bedroom. At that point he left the residence where he encountered police. The Juvenile was lodged in Harbor Fields for the following charges: Burglary, Theft, Criminal Mischief, Possession of CDS and Possession of Marijuana under 50 grams. Patrolman William Kline and Detective Ryan Goehringer are the investigating Officers.